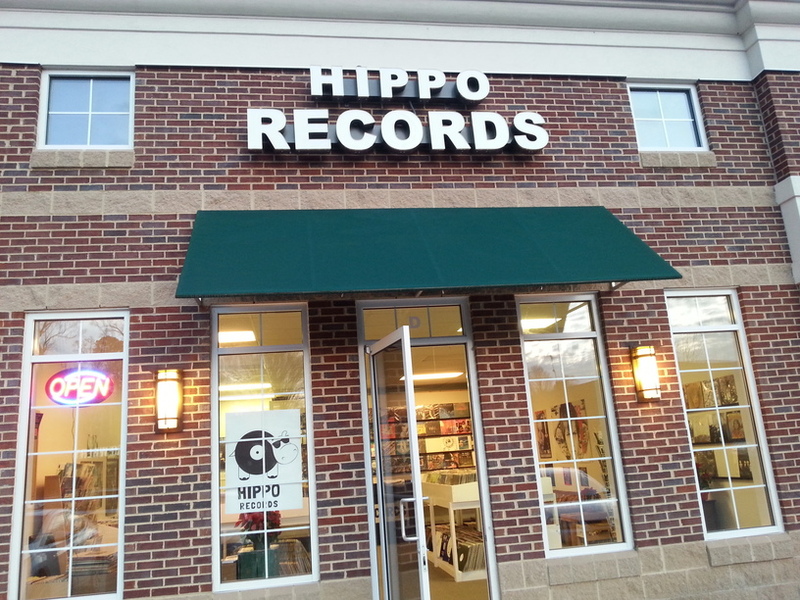 I was kind of bummed out the last time I visited Greensboro and tried to visit Hippo Records, I believe it was July 4th, and so the store was closed.Disappointing, since how often was I going to be in Greensboro? As it turned out, I was there nine months later. We arrived at the store and entered to find Motörhead on the sound system and a clean, brightly lit space. No CDs that I can remember seeing, so it was all about 7″ and 12″ vinyl here. The 7″ section actually had some Monk-bait, but ultimately, nothing that I didn’t already own. This insured that I examined the 7″ers fairly well. I ignored the new vinyl, which filled two wall’s space for the ancient, crusty vinyl that gets my motor running. The first thing I spied that I needed was a Prince 12.” I’m up for collecting those mixes and B-sides now that there’s a finite aspect to the task. 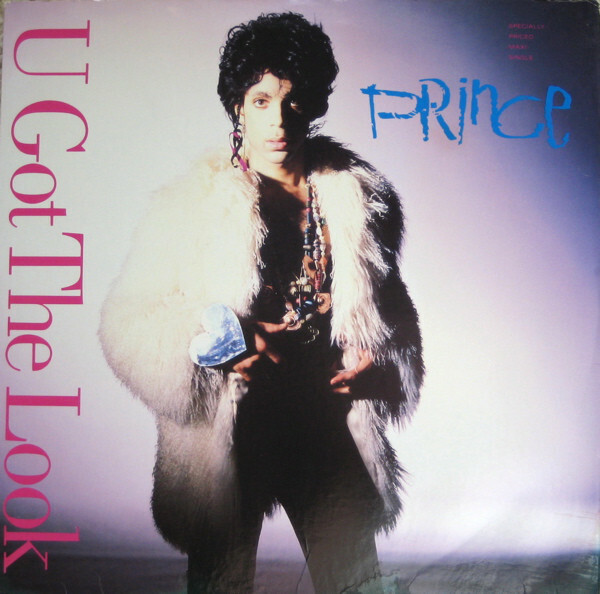 The 12″ of “U Got The Look” had an extended remix of “Housequake,” so that was all mine. I basically ran through all of the used 12″ vinyl that was not separated out into genres of no interest. 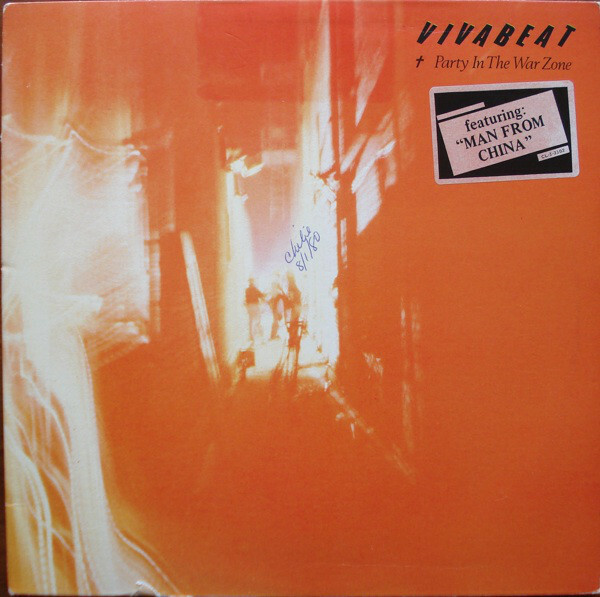 I came across a copy of Vivabeat’s “Party In The War Zone” and I remember this record from back in the day on its release, in 1980. Having never heard a note from it, I always passed, but nearly 40 years later, I cling to such releases like a life raft. I didn’t think there was a CD of this title, so we’ll see what charms it holds in the near future [crosses fingers]. We could have another REVO project here. Looks like there is only the “Man From China” single for the non-LP B-side, “On Patrol.” Hmm. Noted, and now in the want list. 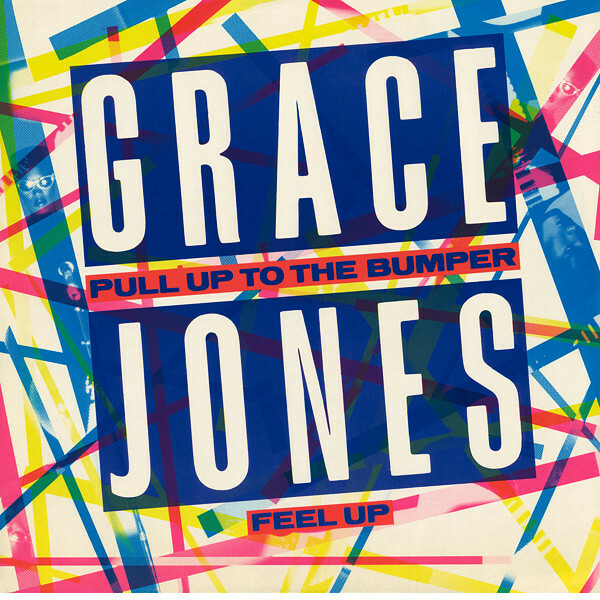 I next came across a real doozy of a record; a never-before-seen UK 12″ of “Grace Jones’, uh…seminal, “Pull Up To The Bumper” 12″ single! For $1.99 in PS??!! Crazy! I was not fully certain if these remixes of the A-side and “Feel Up” were on the recent DLX RM of “Nightclubbing,” which I’ve yet to buy, but I was not taking any chances. I’ve never seen this single for sale in any shape or form in the 36 years it’s been out in the world. I now see that it might be the 5:05 “Party Version” on that DLX RM, but it’s definitely not on the “Private Life: The Compass Point Sessions” discs. Finally, I found the type of record that I always re-purchase when given the opportunity. It was five years earlier to the month when I had purchased my first copy of The Headboys eponymous album… for a historically accurate $6.98. Since then I have been collecting 7″ material [I’m halfway there] to account for the necessary bonus tracks on the REVO edition in my mind. Here was another reason to buy a copy of this album. It was still sealed for just $2.99! I don’t know about you, but when digitizing vinyl for CD-R, there’s no way better than with a record that has only been played by you that single time. Game over! All in all, I spent about an hour in the store, and one thing I couldn’t help but notice was the preponderance of Graham Parker albums there. I saw most of his oeuvre from his Mercury through his Arista phase. When I looked in the slim bootleg section of the store [maybe two dozen discs, all told] I found that about 10-15% of them were Graham Parker boots from the late 70s! ¡Muy extraño! I can’t say why this treasured artist had such a large presence here, but I could only nod my head in approval. I valued my time and money spent at Hippo Records, and would return there again for the all-important second visit that determines if there’s going to be a third one. I also appreciated the small section of Japanese vinyl segregated and available for purchase. Nothing I wanted, but it showed that they cared. Is there any better bait for us vinyl geeks than a JPN pressing with obi? I didn’t think so! This entry was posted in Record Shopping Road Trip and tagged 2017, Greensboro, record shopping. Bookmark the permalink. Not to be morbid, but generally when you see a large presence of a single artist in the used bins, it means a collector has passed … or been forced to give up his collection by poverty/mom/spouse/other. In all cases, a tragedy for someone can be a treasure for someone else. chasinvictoria – But that’s so morbid! I guess the time to start worrying about your number being up is when you start seeing fantastic artist runs common to your collection in the used bins…gulp! One of my favorite scenes (well, it was a cut scene) from my autobiography I mean the movie “High Fidelity” involves an unhappy wife (played by Beverly De’Angelo) trying to sell his husband’s record collection. Tim – I remember that! There was a setup in once scene where Rob got the call from the ex-wife while the other two guys are riffing in the background and he cut them off. The follow up with the ex-wife was edited out but I think it was a DVD extra. The full scene was in the book, of course. I’m familiar with it. Rob gets a call from an irate ex-wife whose husband is in the caribbean and her ex calls her up and tells her to sell his records and send him the cash, so he can party with his new plaything. She tells Rob he can have a major, serious, collection for $20. He declines. I once had someone tell me that a neighbor of theirs had their parent’s record albums and was wanting to sell them. I went over eventually and was amazed at maybe 200 classic rock records, all looking like first printings, and in immaculate shape. My eyes widened at things like a numbered copy of “The Beatles” [a.k.a. “The White Album”] with all of the inserts. Not being a shark [or having any money, for that matter], I advised the young lady that she was sitting on a potential gold mine. I told her about Discogs.com and the importance of matrix numbers and gave her a quick primer in determining tha value of a pressing. I sometimes wonder to this day what she did with them. I would have offered to sell them for her for a percentage but she was leaving town the next day. She was moving to another city to attend college and I told her that she could probably pay for a semester with what those records were probably worth. I said you can sell these yourself online and eventually get a lot, or you can sell to a dealer and take home maybe a third of that in one fell swoop. I had $5 in my wallet [a rarity] and took a copy of The Firesign Theatre’s “How Can You Be In Two Places At Once When You’re Not Anywhere At All” since I only had the late 80s Mo-Fi CD with decidedly less in the artwork area. A more than fair price for that one [though it’s a priceless record in my mind]. I have a recut fanedit of that movie that restores that scene (as well as most of the rest of the cut scenes). Tim – I’m not shocked by this! You are Mr. Fan Edit to me for your re-edits of classic albums. While I appreciate that anyone with a computer and the skills can re-edit a motion picture costing millions of dollars on their laptop these days, life’s too short for that by my reckoning… though i did spend hours in 1983 talking with friends on the phone about the numerous ways that “Return Of The Jedi” could have borne much improvement with a judicious re-edit. Oh, I’ve done that magic with RotJ. Boba Fett – gone. Corny one liners – gone. Ewoks – minimized. Here’s the coup de grace – I cut all of the Obi Wan scene & trim the Luke and Leia conversation on Endor and leave it so that Darth Vader is the one who reveals that Leia is Luke’s sister…..he does the math with the help of the force during their final duel – playing it out that way makes Luke losing his stuff during their fight have more resonance and you have a nice echo to the movie before, it’s DV who tells Luke he’s his dad and then it’s DV who reveals the sister. Tim – So there’s a reason why you aren’t cutting Star Wars® films now?